We begin our blog for the SSGA with words of welcome and images of artwork from El Mundo Zurdo conferences. 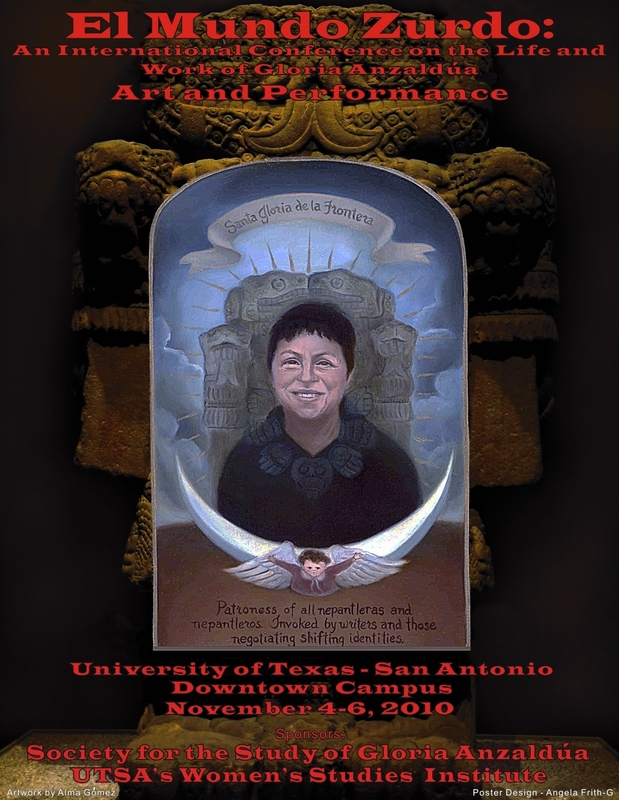 We welcome anyone interested in the life and work of Gloria Anzaldúa to join us as we celebrate her life and wisdom. In this space, we will focus on the conference, El Mundo Zurdo 2012 and we will be posting updates as we go along. For now, I will post the image, “Liminal incubation” by Adriana Garcia, that we have chosen to grace this year’s program book cover, t-shirt and poster. Adriana García's image for El Mundo Zurdo 2012. 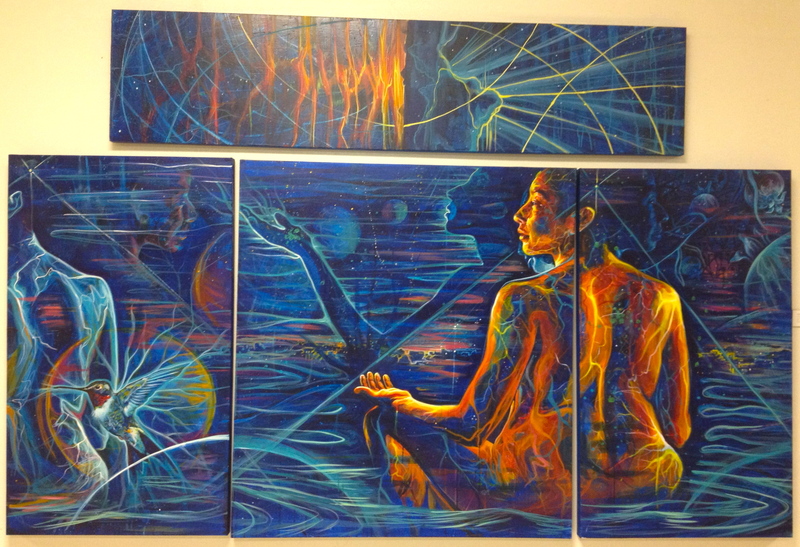 We also share the previous conference artwork; in 2010, Tejana artist now living in Idaho, Alma Gómez’s image was chosen by the committee.